This abaya is Designer Kaftan style abaya which looks so elegant and traditional at the same time. This piece of art is crafted out of premium Nida fabric to look rich. This designer kaftan is perfect for both formal and occasional wear. 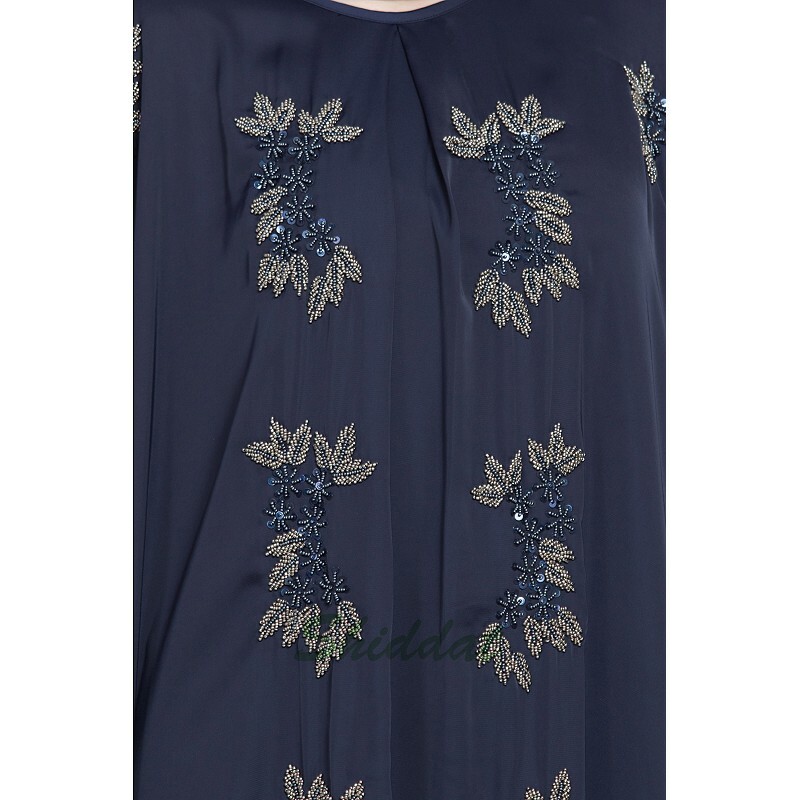 This kaftan abaya has Handwork, beads and sequins contrast embellished at front and shoulder box pleats at center, front round neck with zip opening towards shoulder for easy wear.